Brandon, MB. 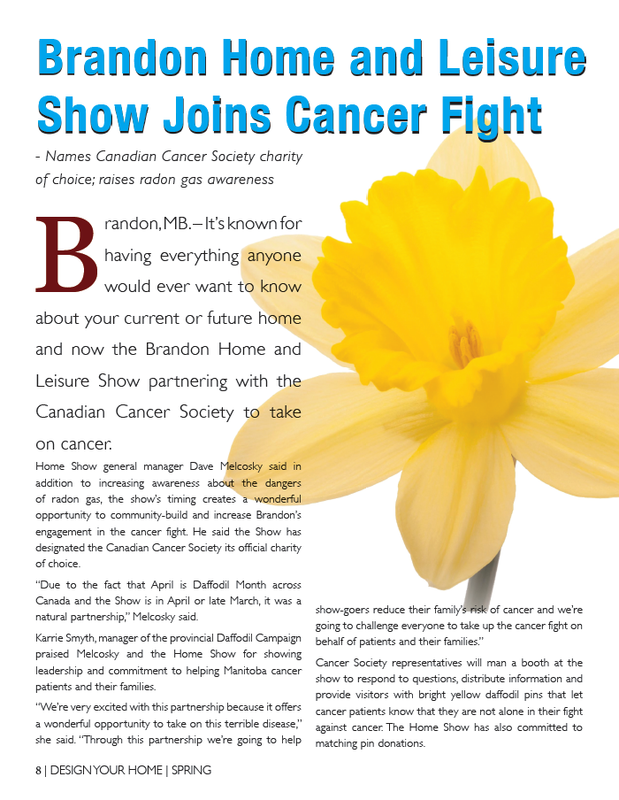 – it’s known for having everything anyone would ever want to know about your current or future home and now the Brandon Home and Leisure show partnering with the Canadian Cancer society to take on cancer. 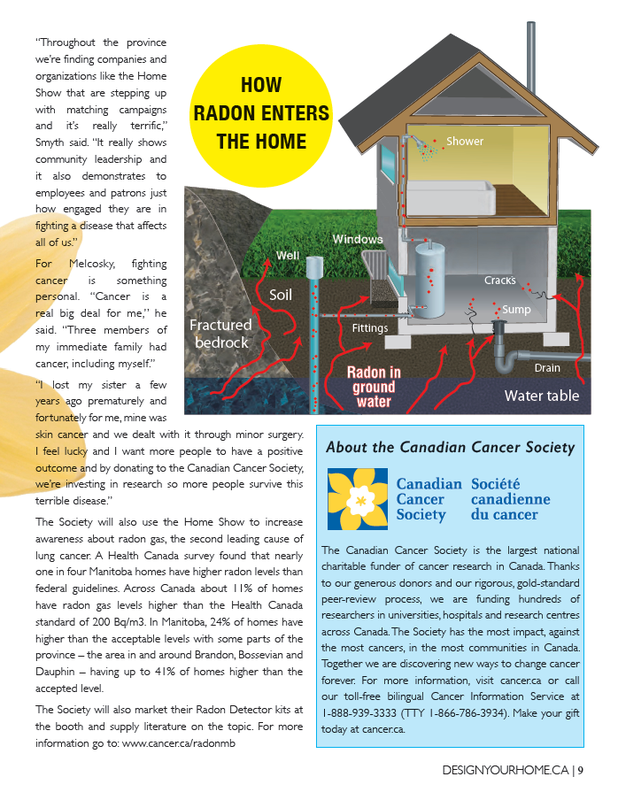 Home show general manager Dave Melcosky said in addition to increasing awareness about the dangers of radon gas, the show’s timing creates a wonderful opportunity to community-build and increase Brandon’s engagement in the cancer fight. He said the show has designated the Canadian Cancer society its official charity of choice. “Due to the fact that April is Daffodil month across Canada and the show is in April or late march, it was a natural partnership,” Melcosky said. Karrie Smyth, manager of the provincial Daffodil Campaign praised Melcosky and the Home show for showing leadership and commitment to helping Manitoba cancer patients and their families. 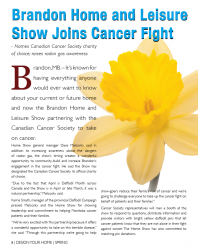 Cancer society representatives will man a booth at the show to respond to questions, distribute information and provide visitors with bright yellow daffodil pins that let cancer patients know that they are not alone in their fight against cancer. The Home show has also committed to matching pin donations. 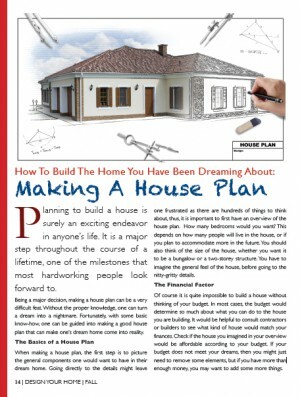 The society will also use the Home show to increase awareness about radon gas, the second leading cause of lung cancer. 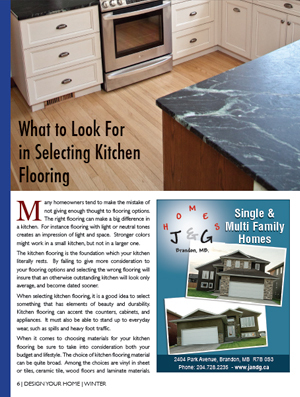 A Health Canada survey found that nearly one in four manitoba homes have higher radon levels than federal guidelines. 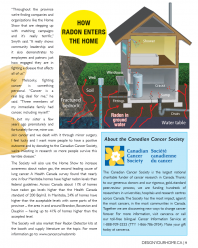 Across Canada about 11% of homes have radon gas levels higher than the Health Canada standard of 200 Bq/m3. 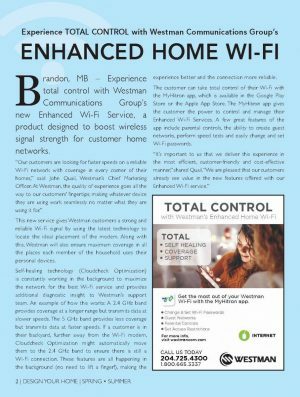 in manitoba, 24% of homes have higher than the acceptable levels with some parts of the province – the area in and around Brandon, Boissevain and Dauphin – having up to 41% of homes higher than the accepted level.